It's the start of a new year and lots of people sit down to make resolutions and goals. 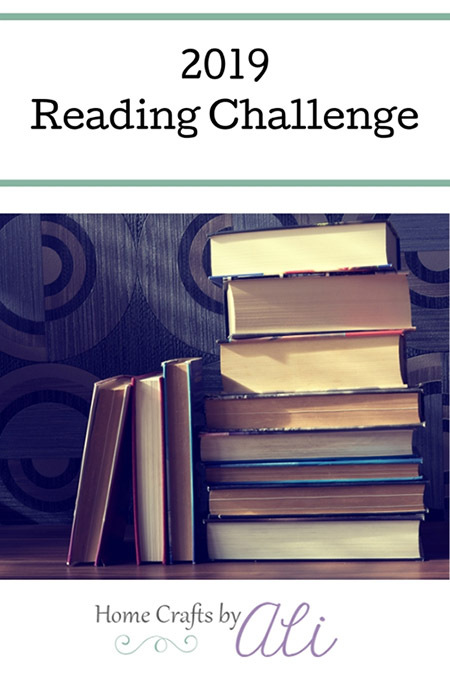 If one of your goals is to read more during 2019, then this reading challenge is just what you need! Today I've put together a list of ideas of different types of books that you can read this year. Pick which ones fit for you as you read this year. You can print out your own copy of the challenge throught the link at the end of this post. I'll admit, sometimes I get in a reading rut. Often I pick up the same books each time when I am ready to read. That is comforting - knowing that you will enjoy the story, the writing of the author, and revisiting a charachter you know and love. But one of the best parts of reading is the joy of a new experience and the anticipation when you open a book for the first time. Books have the power to open your mind to new ideas, take you to destinations far from home, let your imagination take flight, and provide adventure from your comfy chair at home. 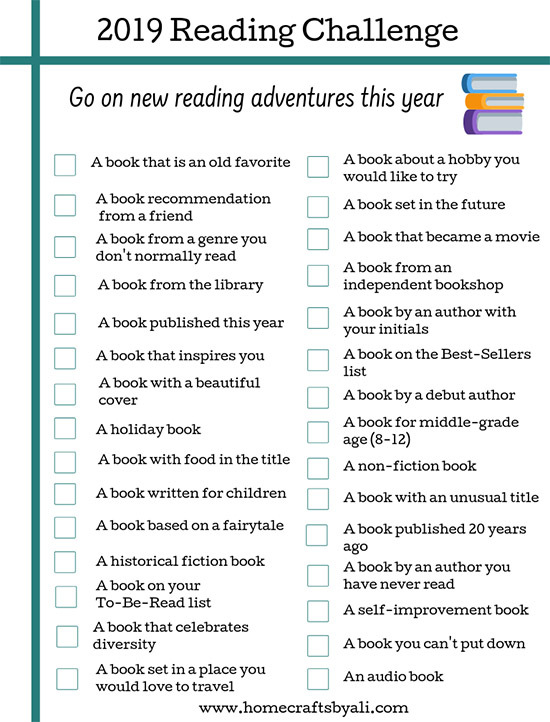 Hopefully this reading challenge will help you take a chance on a few new books this year. You never know, your favorite book could be waiting on a bookshelf for you the next time you visit a bookstore! Fun list! Reading is the best. Thanks for visiting Cindy! It is one of my favorite things to do also. What are you reading right now?